Tomorrow is my last day at work. The job that I was just starting back in August when I wrote this. Which was only a few days after I was here in that place so many of you know so well. Although I’ve sat in my cubicle and stared at our yearly calendar and had the end of April highlighted in yellow stars since August and those first few weeks and months really drraaaggggeed by, here we are. Nearing the end of April. What all this waiting has been for! And I’m beside myself! And I just wanted to take a little moment to thank you again. Who knew my baby would be so loved by those who some of you whom I’ve never even met? So the first time I watched this interview with Piers Morgan asking Beyonce if she was going to have a baby soon, my ears perked up at that line “Only God knows” and the serious tone her voice took. Am I reading too much into it? Maybe. But that’s my husband’s line of what we used to answer before it was totally out there that we were trying to have a baby or to people we don’t know that well, “in God’s time”. I wish I could be this awesome at answering this question. She’s like, my role model to answer prying questions with humor and grace. So what do you think, Beyonce with baby trouble? I hope not, but if so, it was predicted here first! Last spring we happened to share with the priest who witnessed our marriage that we were going through some issues trying to conceive. This was still fairly early in our “attempting” so I just happened to mention in passing if he could include our desires to grow our family in his prayers (he was actually over to bless our house), especially because he had some formative spiritual direction for us when we discerned we should be open to our fertility. Being the thoughtful and involved Father that he is, he mentioned that he had recently heard of several couples who were having the same issues and asked if we would all like to get together for mass and dinner. A few weeks later he followed up with an email, asking if a date three months in the future was OK for us to get together. Sure, I thought. But I’ll probably be pregnant by then. Then I’ll probably feel really silly for agreeing to all this. (In case anyone doubts I have the power of positive thinking). Anyways, turns out I wasn’t pregnant, but we did have a lovely night of Mass, dinner and socializing with 3 other couples who were also experiencing difficultly conceiving. There were two “older” couples and two “younger” couples – relatively speaking. There was a range of “time trying to conceive”, basically ranging from almost a year (us) to 8 years. Yes, you can bet that I felt like the weakest person in the world being there alongside couples that have carried this cross for much, much longer than I have. At that point I was used to having my anxiety and fear being blown off for not trying long enough by fertile friends and was a little anxious at being blown off by these new infertile women. However, it was a great experience and most of the couples understood that not conceiving is not conceiving and we all share a common bond, no matter the length of time. They had supportive things to say, even if for part of the night I did feel like their ‘project’, with them telling me words of advice like relax because there is nothing else you can do, take one day at a time, and to have faith because that first year is the hardest. I did start to feel a bit of a “pain Olympics” (or where infertile women like to compete over how ‘infertile’ they are), which was probably only apparent from my view, but this was to be expected I guess and minimal. After all, I was just starting the journey as they were able to tell me about significant mile-markers and scenery changes along the way. As with most things, it really helped having examples of other couples facing this hardship and surviving, “mentors” of sorts that could provide concrete examples of hope without diminishing the pain I felt. These couples gave me hope for my future that these tears would eventually dry up when talking about sub/infertility with strangers. Perhaps the most miraculous moment came during Mass when the Father did a semi-introduction of us all to each other in the homily (after we had officially met but before eating dinner) and revealed the most amazing news yet – that the couple who had been married and open to life for 8 years, after at least 3 surgeries and multiple adoption failures, was yes, finally pregnant with their first pregnancy. Praise the Lord! They conceived sometime after the first email was sent and the date of our gathering. They hadn’t actively tried anything in over a year, and there they sat, shedding tears of joy after waiting so long to receive this gift from God. The whole room was in tears at this miracle. I realized then that this was not a short term journey and the longer I counted months by days, the more I was setting myself up for heart-ache. My vision of thinking well, at least I’ll probably conceive in the next few years suddenly stretched to a decade. Am I strong enough to endure a decade of this – or even more? I admit I was terrified, but I’m glad I got that reality check early on. Heck, when I would express doubt in us being able to conceive around the 6 month mark my husband used to jokingly threaten me with “Do you want to go to that Loving Embrace group where real infertile women are so you can feel embarrassed for being so sad?” I knew then that I was weak. These women were warriors and their faith, so solid. At least in hindsight. I was so, so weak. I am so, so weak. Perhaps the second “Ah ha!” moment of the night was during the homily again, when Father talked about his history and involvement as director of vocations. Some of you may wonder what a celibate priest has to say about yearning for children, but the similarities were more than obvious. As director of vocations in a small Italian order, he moved to Texas to expand more than 25 years ago. The house they owned that he longed to be filled to the brim with young men exploring their callings sat mostly empty. He could count the number of vocations on one hand and they were much, much less than he desired. That he prayed for. He often begged God to tell him that if He desired such a good thing and was there willing and ready to serve and mentor these young men, why did He not send them? His empty nets mirrored our empty arms. But even our 8 year empty arms paled in comparison to 25 years but luckily, its not all about the ‘pain Olympics’. He reminded us that our desire for children and his desire for vocations both pointed to a similar longing, a longing for God. A love of God so strong that you want to share it with others, no matter your vocation. They were beautiful words to help me realize that longing for God IS universal, even if the specific cross of infertility is not. Now, whenever I pray for those empty arms out there and the parents longing to fill them, I also try to remember those empty nets and pray for God to fill them as well. This advent I had the pleasure of praying for the sweet and thoughtful writer of a blog I’ve read for a while now and have often cited here on my own blog, which made this season feel that much more personal. When I received the email I admit I was a bit nervous, knowing what a spiritual dry spell she had been going through lately – but I took that as a challenge to pray harder! And then when I read on her blog that she was going on a blog fast, although I was a little sad I’d have less to read, I knew things would be getting better for her soon. Blog fasts do that. Crazy enough, two days later she heard about her first potential adoption situation for a baby to be born in February and I got to add 3 more people to my prayer list! I’m glad she popped back in a few times to let us know how it was going with meeting the birth parents and other things related to life, although I know how refreshing a blog fast can be too. I particularly liked her spiritual adviser’s advice to shift the focus from suffering to thankfulness for a new perspective and I’ve been trying to apply that to my life. I got to pray for….A Complicated Life! I prayed for her daily the St. Andrew’s novena with the intention of “peace in her life and a baby”. I also prayed the novena to Our Lady of Guadalupe (after recently visiting the Basilica!) and whenever I attended Mass this advent season for her. I also prayed for her birth parents – they now have names! D and E – after the St. Andrew’s novena each day that they would make the best decision for this new little baby. You have no idea how excited I was to add them to my prayers! I hope you felt these gifts of prayer and I’m happy to continue praying for your family! Who are the lucky ones? Have you all followed Arwen’s writings? She writes at Faith and Family Live as well as on her own blog, which ironically, was started as a place where she would write to work through her thoughts on infertility. While her recent posts are filled with talk of children and struggles of motherhood, her archives are filled with beautiful reflections like this one. I read it several months ago and it had me in tears and those tears reemerge every time I reread it. Please go and check it out. Last spring my father wrote me a letter in which he told me of an image he’d gotten while praying for me: that of Simon of Cyrene. In Gibson’s portrayal in The Passion Simon is drafted into service against his will, but after being with Jesus for a while he does not want to leave Him; he has realized what a blessing it is to help carry that cross. But, Dad pointed out, if Simon had been forced to carry the cross without knowing it was for his Christ, would he have caught on so easily to the goodness of what he was doing? Almost surely not, and yet the act itself would have been just as valuable. We see Simon as a chosen one, blessed to have been so close to the Savior at such a time. Yet I’m sure that many of those looking on must have pitied the one who was forced into humiliating labor for the sake of a criminal condemned to death. Perhaps there was a man standing next to Simon in the crowd who drew a breath of relief when the guards passed over him, and went on his way thinking himself lucky. But it was Simon who was given the life-changing chance. On the fourth Sunday of Advent, which also happened to be Cycle Day 1 for me, the reading at Mass was the story of the Annunciation. The priest talked in his homily about Mary and the amazing fiat of motherhood, and I couldn’t help it. Tears just kept pushing themselves out of my eyes. My first thought was that I can’t really believe that. I’ve been thinking about it since then, though, and about the little voice inside me, and about Simon of Cyrene being pushed to the ground by that bone-crushing cross. I think about the person I might be now if we’d gotten pregnant that first cycle or even that first year, and you know what? I know I am a lucky one. Ack, so beautiful, I’m crying now. I had been so eager to say how lucky Simon was even if the reality of carrying such a literal cross appears otherwise. But if I truly believe that, there is no alternative other than to admit through our sufferings and although we may not consciously acknowledge they are bringing us to Christ, just by going through this suffering, we are lucky as well. Lucky, not a word I ever would have used to describe this position, but it seems true. Please, please go read the rest of the article. While taking our Spanish class almost two months ago now, we were fortunate enough to have a week overlap with Eric, part of an amazing couple (with Sarita) who has followed the guidance of the Holy Spirit to come to Mexico on a mission trip. He was the student that was quick to catch on to the “When God gives us children” reference :) The best part? They’re Catholic! Anyway, the Baquets are a very sweet couple on an amazing journey right now with their beautiful (understatement) little boy. They have their work cut out for them as the state of Catholicism and catechesis in parts of Mexico is well, interesting at best, so please keep them in your prayers! Right now they are working in a rancho where most of the people have converted to Jehovah’s Witness. We need more people like them willing to teach and serve where called. We hope to make it up to visit them at some point in our journey here so please pray for that plan to be revealed as well. They have definitely planted/watered seeds in our minds and it was inspiring to meet a couple so dedicated to following God’s plan for their life. 1. He is ideal to the end. This is one of the things that first attracted me to him. His idealism is contagious. It makes you want to not settle for anything other than the best you can do and be. This comes out it his faith and his relationships with other people. He doesn’t hold grudges and will always treat people as though they never wronged him. And although he has high standards, he is very forgiving and understanding of people’s faults and doesn’t hold this against them. 2. He is dedicated and has a strong work ethic. When he puts his mind to something, he will give it everything he has. He has done this athletically and academically time and again. When he works out, he maintains a constant schedule (changing his physical activity and his diet). In high school, despite being a year younger than everyone and physically less developed (he’ll probably kill me for saying that!) he practiced like no other to make his team, which had several people go pro on it (we’re a lot alike in that sense!). When he has a project due, it is no big deal for him to make himself stay up several nights in a row to reach the deadline. While he is very strong and fast and smart, what he lacks in natural talent he will make up ten-fold in effort. I love this part about him! 3. He knows how to have fun. For as hard as he works and as smart as he is, you think he’d be a really boring work-a-holic. But he’s the opposite! Work hard, party hard is his motto. Of course this has calmed down now that he’s married ;) but he still loves nothing more than having a casual conversation about something completely unrelated to work. He’s the best at finding common ground with people he just met and will even talk to my deaf great aunt for hours! He is definitely a social, people person. 4. He loves God more than me. To be honest, this threatened me when I first met him. I didn’t know how I could be #2 in a relationship. I’ve since matured a lot (thank God!) and realized that you can’t love other people without loving God first. His faith is very important to him,he believes it and he understands it, unlike the other Catholic guys I’ve dated. 6. But he’s very generous with other people, not stingy. He spends money on other people, just not himself. He will buy everyone in his family a birthday/Christmas gift to show them he cares and he will offer to pay for food/drinks whenever we go out with other people. He is prudent with himself so that he can afford to spend his money on other people. 6. His family is very important to him. Seeing how much his family mattered to him before we were married assured me of what a priority I would be in his life once we were married. He once had a conflict with his sister’s college graduation. He had to be in Texas the evening before and in Cali the next morning, while getting his car to New Mexico that same weekend. His solution? Drive all night and take a red eye out of New Mexico to Cali. Not the common solution, but to him it was completely reasonable to him, and he did it (see #1). Another time, he literally emptied his bank account (I’m talking like, zero balance) in order to buy a plane ticket back to Cali in order to be there for his sister’s engagement party (see #6) because family means so much to him. He also bought a last minute plane ticket, despite the crazy cost, so that he could be there for my dad’s retirement, because he knew what a big deal it was for my family (even before we were married!). Now that we’re married, we have issues like saving money for our own family, etc., so money is a little tighter (as in, we don’t let that bank account get to zero), but family is still at the top of his priorities. 8. He is super patient. This is a very good complement to me, since I am not patient at all! He can calmly wait for things to happen and never expects results right away. This makes him a good partner on this current phase of our marriage :) He also doesn’t get flustered when driving in strange places. Bonus! 9. He loves to cook. He actually taught me how to cook (I really only knew how to bake!). With his patience (and #7! ), he makes everything from scratch, so although it may take 4 hours, it will taste really good! 10. He loves optimizing everything. He will research for hours before he buys something. That TV I mentioned earlier? Like 3 months of hemming and hawing over what he wanted in a TV and where to get the best deal. My engagement ring? Like 4 months of research. He’s not the impulsive buyer (I am!) but always makes good decisions as a result. 11. He is the most logical person I know. This would bug me to no end when we first met and we’ve have discussions (see my faith story…) and while I had the desire for arguing (ahem) I had an a serious deficiency in some of my ways of logic. I love how Catholic schools teach logic and reasoning and he apparently sucked it up like a sponge because he is amazingly good at explaining complicated concepts and engaging in civil debate. 12. He loves children. He has great memories of his childhood and when his family gets together they always recount the memories of Halloween and Christmas and just fun random stories from their youth. I loved this part of him before we were married and it makes me excited for the day that we become parents because I know he will be a great father. So congrats to the first Dr. Moonhead…hopefully I’ll be joining him soon! Like Kathleen suggested, please introduce your other half on your blog! Ok, so let’s see how long it takes for him to find this post…and if he comments on it! 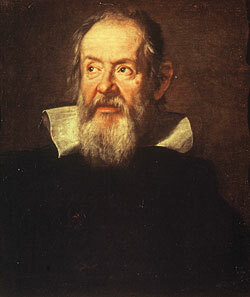 I found this really interesting article on the domestic life of Galileo today. Did you know he had three illegitamate children? And that his two daughters become nuns? Granted “discerning a vocation” back then sounds like it was a lot different than it is now, since he put them in a convent since they had no future to marry as illegitimate offspring. A convent was pretty much their only hope at a decent life. Still. The man portrayed in this article doesn’t sound like the man I learned about from MY history books, a man the Catholic Church brutally beat down to get him to stop talking about that stupid rotational theory of yours. I’d think a man that had had that happen to him would have grown bitter. Instead he loved his Church until the end. Just that he didn’t have to stop being a Catholic to do what he did. The image of him that I formed as a schoolchild was the modern myth—that he put all that religion and superstition behind him and became the first modern scientist. Well, that’s not exactly right. Throughout his life, he expressed his love of the Church, his belief in God. What does he say when he makes this fantastic discovery with the telescope, when he finds the moons of Jupiter? He thanks God for making him alone the one person in all of history who was the first to see them and know about them. So in this extraordinary moment of realization, it’s also a prayer—a prayer of thanksgiving. Sounds like a pretty cool guy, who was pretty patient while the whole world was trying to figure out this science thing, huh? Another reason to read up on both sides of the story.